From the acclaimed author of Ruin Falls and Cover of Snow comes a breathless new novel of psychological suspense about a dark, twisted turn of events that could shatter a family--a read perfect for fans of Gillian Flynn, Chris Bohjalian, and Nancy Pickard. In her isolated home in the shadowy woods, Sandy prepares dinner after a fight with her daughter, Ivy. Upstairs, the fifteen-year-old--smart, brave, and with every reason to be angry tonight--keeps her distance from her mother. Sandy's husband, Ben, a wilderness guide, arrives late to find a home simmering with unease. Nearby, two desperate men on the run make their way through the fading light, bloodstained and determined to leave no loose ends or witnesses. After almost twenty years as prison cellmates, they have become a deadly team: Harlan the muscle, Nick the mind and will. As they approach a secluded house and look through its windows to see a cozy domestic scene, Nick knows that here he will find what he's looking for . . . before he disappears forever. 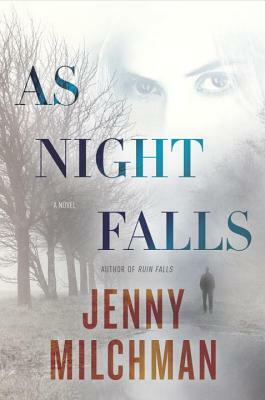 Jenny Milchman is the author of Cover of Snow, which won the Mystery Writers of America's Mary Higgins Clark Award, Ruin Falls, and As Night Falls. She is the chair of the International Thriller Writers' Debut Authors Program, a member of the Mystery Writers of America and New York Writers Workshop, and the creator and organizer of Take Your Child to a Bookstore Day, which is celebrated annually in all fifty states. Milchman lives in the Hudson Valley with her family.